If your blood pressure drops too low, your brain may not get enough oxygen-rich blood. Your body responds by losing consciousness briefly. You also slump or fall down. This problem is called syncope, fainting, or a blackout. Syncope happens suddenly. But you may have warning signs first, including dimmed vision, lightheadedness, or a rapid heartbeat. Or you may have no warning signs at all. After syncope, you recover quickly. But you may feel tired. 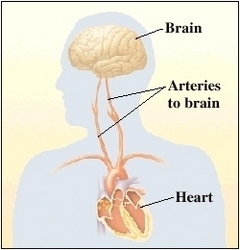 The heart pumps blood non stop to the brain and the rest of the body. Syncope is a common problem with many possible causes. Often these causes are not serious. For instance, syncope can be caused by standing for too long or sitting up too fast. In some cases, you may never faint again. But if heart trouble causes syncope, this can be serious. To provide the best treatment, your doctor will want to learn why you fainted. If heart trouble is causing your syncope, treatment may even save your life. Your brain and body need a steady supply of oxygen-rich blood. Your heart rate and blood pressure adjust to maintain this steady supply throughout all your activities. The heart creates electrical signals that travel through it on pathways. These signals set the heart rate, and tell the heart when to pump blood. In response to your body’s needs, your brain may also trigger changes in your heart rate and blood pressure. This keeps your blood flow strong.